Obituary for Kimberly M. Lescault | Brewer Funeral Home, Inc.
Kimberly M. Lescault, 44, of Angel Road, passed away Friday evening, November 23, 2018 at Saratoga Hospital following a brief illness. Born on June 23, 1974 in Plattsburgh she was the daughter of William and Bonnie (Passino) Potter. She was a 1992 graduate of Corinth Central School and attended Adirondack Community College and earned her cosmetology certification through BOCES. 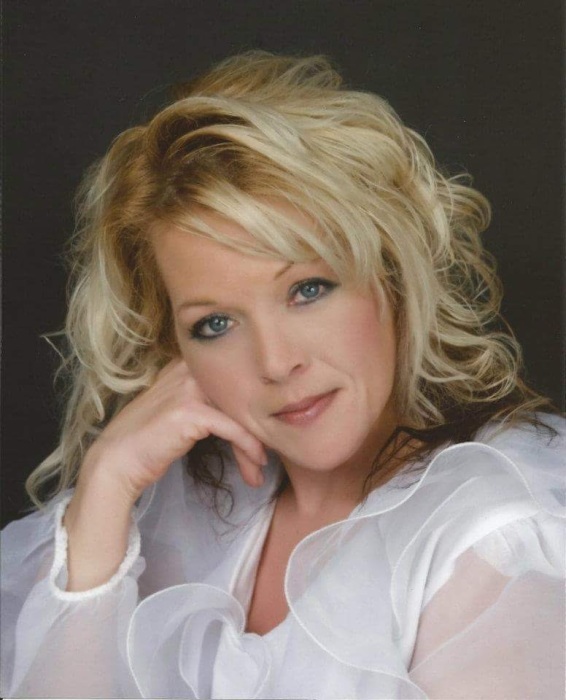 She was the manager of Woodcrest Acres in Corinth and owned and operated Kim’s Cut ‘n Chase Hair Salon in Corinth. Her enjoyments included cooking for her friends and family and visiting with them. Her door was always open. Kim was happiest when she was caring for others. Her warm, loving spirit was unmistakable to all who knew her. She was a beautiful person inside and out. She will now be dancing with the angels; free from the pain and suffering she had endured. She is survived by her parents: William and Bonnie Potter of Corinth; her sons: Chase Lescault and Hunter Lescault, both of Corinth; her fiancé, Ron Green of Corinth; her sisters: Kristina (Tony) Tucker of Hudson Falls, Katie (Broderick) Robarge and his son, Carter, of Massachusetts; her aunts and uncles: Shelley and Jim Fenton of Ballston Spa and Michael and Tina Potter of Ballston Spa; three very special nieces and nephews: Bradyn Tucker, Bentley Tucker, Brooklyn Tucker; Mike Jenkins, whom she loved as a son; sisters of choice: Tina Menard of Mooers, NY and Nicki Marcotte of Corinth; her special angels: Gaye Lescault, Dawn Woods and Kim Straight. A special thanks to all the wonderful staff at Saratoga ICU and to a very special nurse Kaycie Parker Trombley that not only took care of Kim's special needs like a sister but also took care of us as a family at our darkest hour. Friends may call Thursday from 2-3 p.m. at Brewer Funeral Home, Inc., 24 Church St., Lake Luzerne. Funeral services will immediately follow the visitation at 3 p.m. Thursday at the funeral home. Friends and family are invited to gather following the funeral service at Corinth Fire Department, 16 Saratoga Ave., Corinth. In lieu of flowers, Kim’s family respectfully requests that donations in her memory be made to her sons c/o Hudson River Credit Union. 312 Palmer Ave., Corinth, NY 12822.